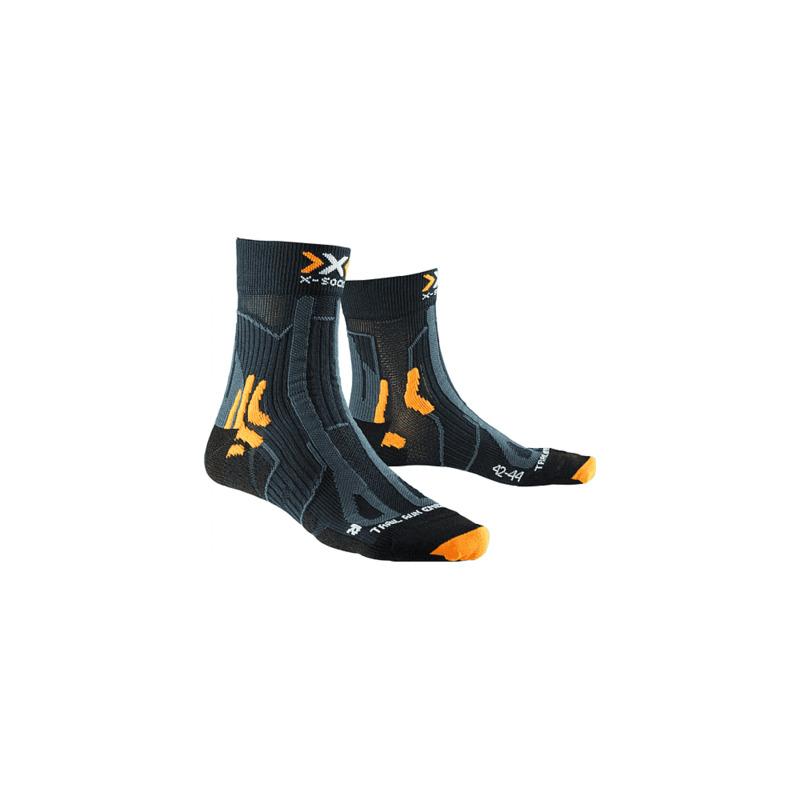 X-Socks Trail Run Energy is a performance enhancing functional trail running sock that stabilises the foot. The X-Socks Trail Run Energy improves climate comfort and provides added safety thanks to the 11 built-in trademarked technologies and is atomically adapted to the female foot. Sup-pronation Bandage - The innovative wrap inhibits over pronation and supination. Air Flow Ankle Pads - Provides the ankle with maximum protection. Traverse Air Flow Channel System - ensures that large areas of the sole are amply supplied with fresh air. Perfect socks for your adventures!